166 pages | 1 B/W Illus. Many ways of thinking about and living with ‘the environment’ have their roots in the Bible and the Christian cultural tradition. Environmental Humanities and Theologies shows that some of these ways are problematic. It also provides alternative ways that value both materiality and spirituality. Beginning with an environmentally friendly reading of the biblical story of creation, Environmental Humanities and Theologies goes on to discuss in succeeding chapters the environmental theology of wetlands, dragons and watery monsters (including crocodiles and alligators) in the Bible and literature. It then gives a critical reading of the environmental theology of the biblical book of Psalms. Theological concepts are found in the works of English writers of detective and devotional stories and novels, American nature writers and European Jewish writers (as succeeding chapters show). Environmental Humanities and Theologies concludes with an appreciation for Australian Aboriginal spirituality in the swamp serpent. It argues for the sacrality of marsh monsters and swamp serpents as figures of reverence and respect for living bio- and psycho-symbiotic livelihoods in bioregions of the living earth in the Symbiocene. This is the hoped-for age superseding the Anthropocene. 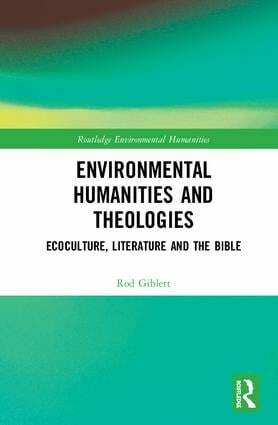 Environmental Humanities and Theologies is aimed at those who have little or no knowledge of how theology underlies much thinking and writing about ‘the environment’ and who are looking for ways of thinking about, being and living with the earth that respect and value both spirituality and materiality. It is a new text nurturing sacrality for the Symbiocene. Part 1 Sacred Earth and Evil Beings 1. In the Beginning — was the Wetland 2. Theology of Wetlands and Marsh Monsters 3. Theology of Dragons and Monstrous Serpents 4. Theology of Watery Monsters: Leviathan and Crocodiles 5. ‘The Earth is the Lord’s, and its Inhabitants’: The Psalmists’ Environmental Theologies Part 2 Theologies of Times and Places 6. Pilgrim’s Progress through the Slough of Despond and the Valley of the Shadow of Death 7. God’s and Nature’s Nation: John ‘the Baptist’ Muir and US National Parks 8. Looking Back on Destruction and Being at Home in One’s Time, Body and Place: Lot’s Wife and the Angels of History, Geography and Corporeality 9. Rainbow Serpent Anthropology, or Rainbow Spirit Theology, or Swamp Serpent Sacrality and Marsh Monster Maternity? Rod Giblett is Honorary Associate Professor of Environmental Humanities in the School of Communication and Creative Arts, Deakin University, Australia. He is the author of many books in the environmental humanities, including People and Places of Nature and Culture (2011) and most recently, Cities and Wetlands: The Return of the Repressed in Nature and Culture (2016).